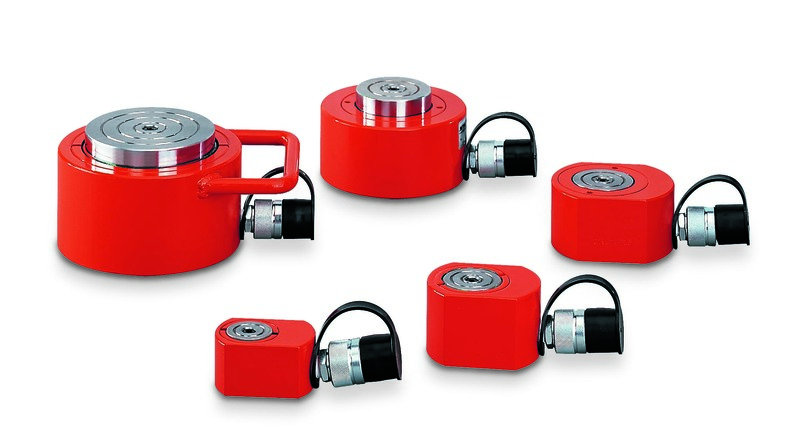 Range of low-height spring return hydraulic cylinders suitable for all lifting, pushing, levelling, and pressing applications especially in tight working areas. 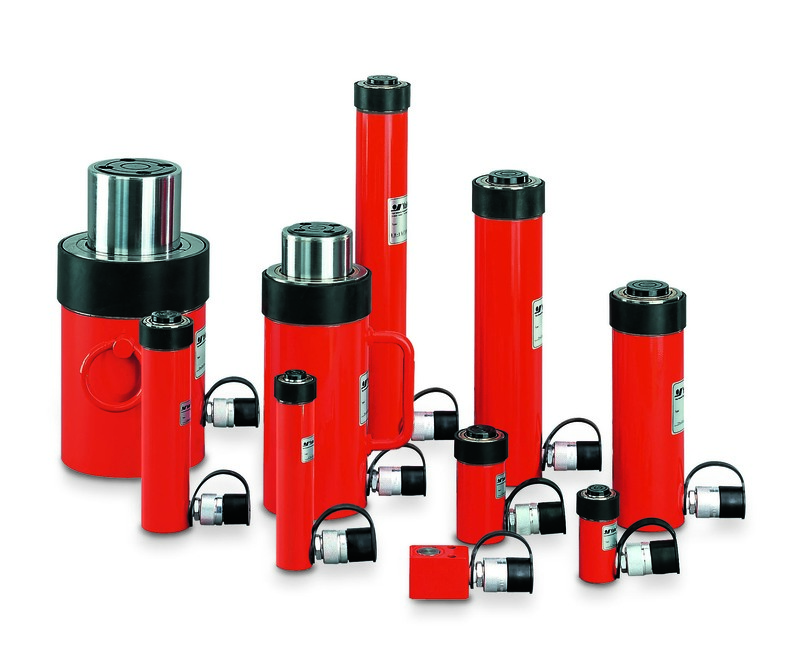 The YFS / YLS range of quality cylinders are very compact and are designed for lifting and positioning jobs as well as all general maintenance applications, where low height, portability and lightweight are required. Robust construction with long guides allow these units to withstand abuse and better tolerate eccentric and side loading. 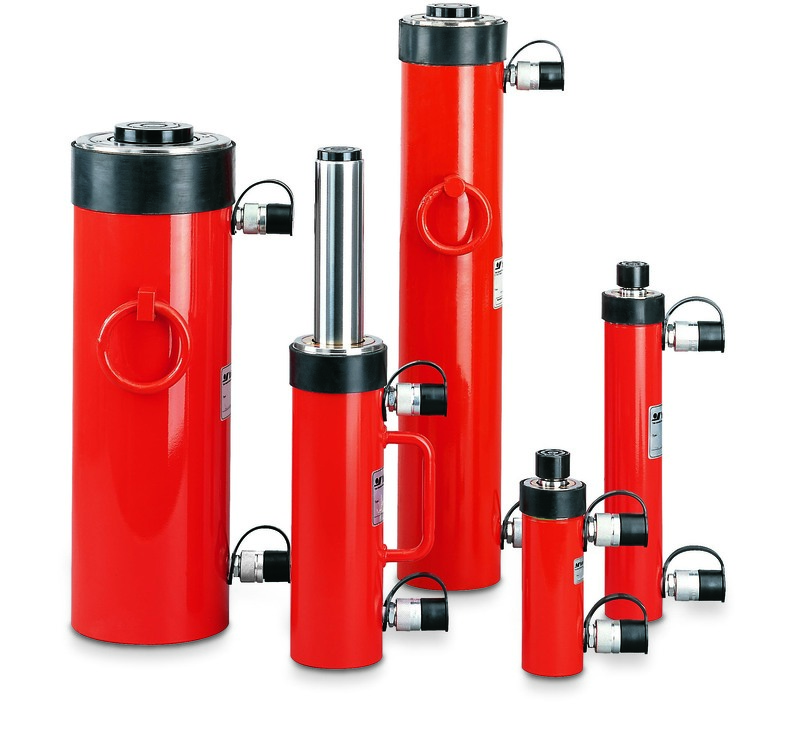 The YS range of universal cylinders are designed for applications where high forces but compact dimensions are required. 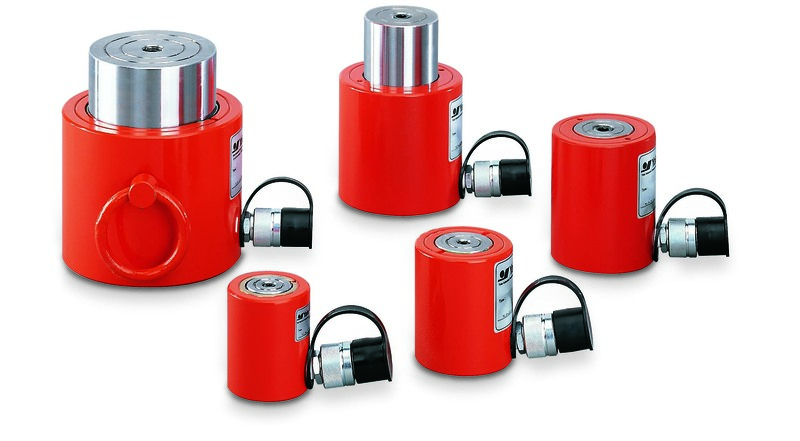 These extremely robust double-acting cylinders are especially designed for universal heavy-duty lifting and positioning applications as well as for industrial production and assembly jobs. 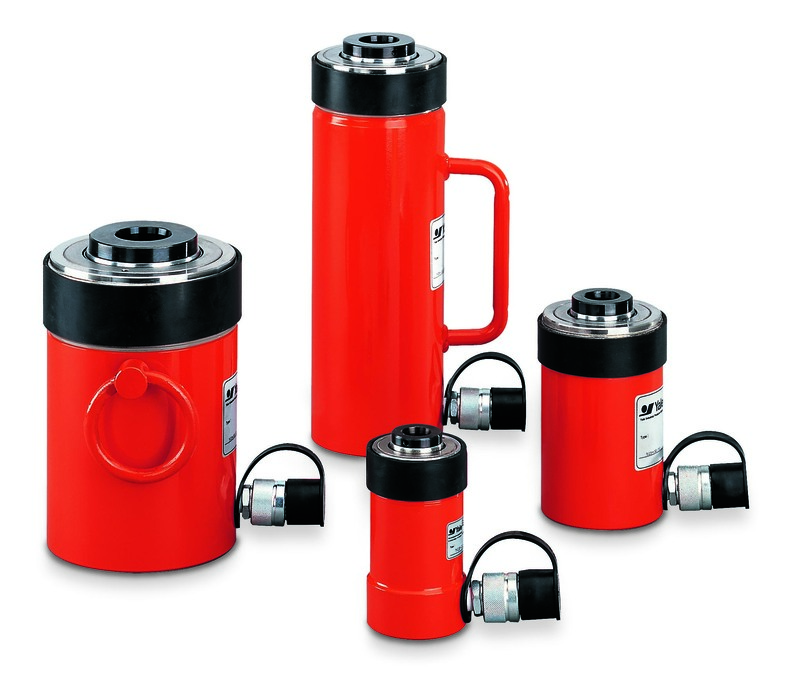 The YH range of double-acting cylinders offer a fast, controlled retraction speed, making them especially suited to bridge building, civil engineering, off-shore and ship building. The YCS range of hollow cylinders are used as the power component within hydraulic puller sets, for pre-stressing anchor bolts, removing axles, shafts, bushings, extracting tubes, as well as heavy-duty pulling applications.